Relatively weak commodity prices and the need to increase operational efficiencies will keep the mining and minerals sector under pressure in the near future. Modern electric motors have more to offer to the industry and may hold the answers to many of its challenges. If you were asked to design the perfect electric motor for today’s mining and minerals sector, what would it look like? The motor technology, it could be argued, is well established. The motor must meet global mining standards, yet be flexible for adaptation to local legislation; robust to meet the aggressive nature of the environment; highly reliable; and never be responsible for unplanned downtime by being the weakest link in the drivetrain. To improve the current tide of poor productivity, mining companies not only need to embrace new technology but also to re- think the way they view existing technology. Today’s electric motors can be fitted with intelligent instrumentation that tracks the temperature of bearings and windings, and monitors vibrations, thereby vastly improving the reliability and safety of the machine. This enhances and simplifies access to information, alerts operators to potential problems and reduces maintenance with extended equipment lifecycles. All of which keeps the process running and production moving. Traditionally, energy efficiency has never been a major issue in mining. This is changing, as operators become aware of the prospect of saving hundreds of thousands of dollars by reducing motor energy consumption, which typically represents at least one third of a mine’s operating costs. Safety is always topical and extends from product, production, personnel and application safety through to a motor supplier’s own health and safety policy. That is why, when choosing a motor supplier, it is vital to consider its lifecycle services. Predictive maintenance, remote monitoring and diagnostics are essential tools to lower maintenance costs while increasing productivity and safety. One thing all mining companies appear to have in common is their conservatism towards new products and technologies. The industry tends to be risk averse. Although this is not a bad trait, it can overlook opportunities to improve productivity or efficiency. For instance, many sites have a habit of scrapping motors, sometimes on a two-year cycle, or at best sending the motor for rewind. 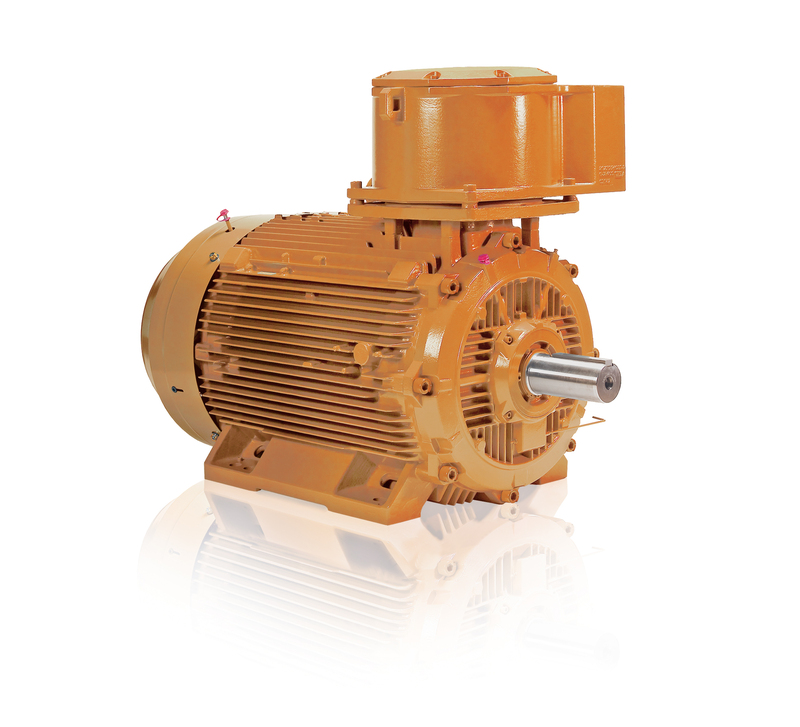 Yet today’s motors are designed to the highest levels of reliability, meaning that they can survive in the mining environment for well in excess of their warranty periods of three to five years. With planned preventive maintenance, motors can last several decades. If a company’s policy is to change its motors as a matter of course, then purchase price becomes a dominant factor. However, a mining motor should be viewed as a long-term investment. Mining companies need to reasses their motor management policies. This is exactly what one global mining company discovered. It had a policy of scrapping motors because of the corrosive nature of the calcium carbonate within its mine on the motor’s bearings. However, using the latest motor technology it discovered an energy- efficient design that stood up to the hostile environment. Now it no longer scraps its motors and keeps them running for a lot longer. For any mine building new lines or refurbishing existing ones, it is important to involve the motor supplier at the start of any project; during the FEED stage. Suppliers have a wealth of know-how about all applications where motors are used, from pumps, ventilation and conveyors to crushers, hoists and drills. That means they can advise on temperature rise, IP-classification, insulation type and compatibility with other products, such as couplings, gearboxes and variable speed drives (VSDs). They can spot pitfalls in technical specifications that can lead to over-dimensioning, unnecessary energy use and higher maintenance costs. Overall system efficiency is a driving force in the mining business. A materials handling system, for example, will perform only as well as its component parts. Changing one component can often have an impact on other devices in the drivetrain. Engaging a motor supplier with comprehensive application know- how can provide access to advice on mounted bearings, couplings, gearboxes, controlled start transmissions (CSTs), electric motors and VSDs. In many cases the supplier can provide a complete integrated package. The benefits are a drivetrain that is matched perfectly and an application that works first time at optimum efficiency. Because of the locations of mines, a manufacturer must be able to support its products locally in all countries. This covers the needs of end-users and OEMs and extends from delivery expectations to location of stock. Tom Eklof and Peter Svartsjo are with ABB. Bigger, faster, stronger – better?